These six groups will be shadowing the Man Booker Prize by each reading one of the shortlisted titles. You can follow them on Twitter, Facebook and Instagram as they discuss their books and chat with each other over the coming weeks leading up to the prize announcement on Tuesday 16 October. We are a daytime book club for the parents of pre-schoolers who like to relax (when given the chance!) with a good book. This unique book club was set up 6 years ago by librarian and mother of two, Stella Chevalier, to reduce parental isolation and support parent readers, giving them an attainable book club to join, support their reading for pleasure, their wellbeing and parental literacy – many were unable to join or maintain evening book clubs with juggling the needs of small children. We meet on the first Friday of the month in the children’s library at Wallington Library, South London where we supervise our children whilst discussing the previous month’s books. Two choices of books are often on offer: one a ‘normal’ sized book club book and a shorter book (such as a ‘Quick Read’ or a short story) differentiating the book choice allowing members to choose their following months’ read depending on their needs. Both books are then discussed at the following month’s meeting so everyone can talk about something that they have read. Reading and discussion about the book are central to meetings as this allows new members to join us anytime. Meeting in the children’s library means that family reading can continue before and after meetings allowing the pre-schoolers to be around and read their books whilst we discuss ours. Members can then make the most of their library visit, borrowing books for the whole family. Members are seen as parent reading role models to their pre-schoolers, promoting the importance and benefits of reading as a family. We will be reading Milkman by Anna Burns. We’re pleased to be shadowing the Man Booker this year. It’s a great shortlist and am sure will lead to lively discussion. 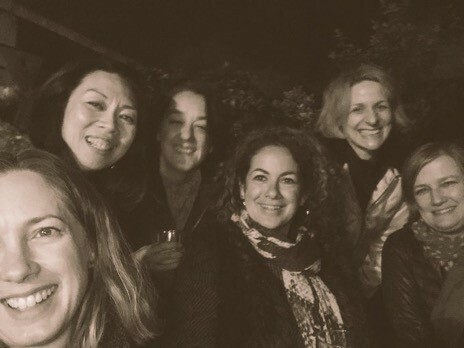 We’re a mixed group of backgrounds including an academic, a psychotherapist, baker and several other freelancers so none of us work in an office. The book group is a brilliant way of getting together and enjoying different opinions and approaches to life! We will be reading Washington Black by Esi Edugyan. 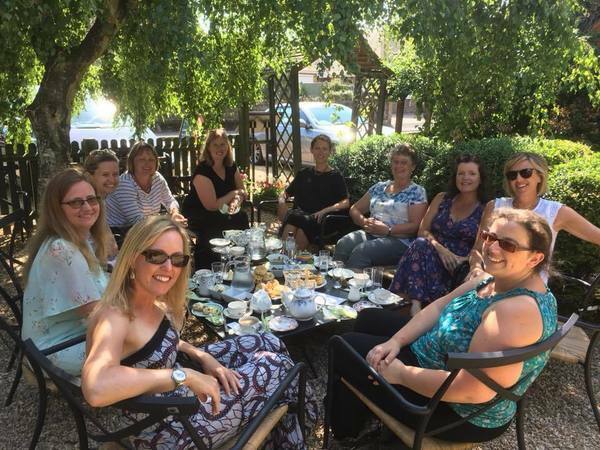 Founded in 2009, Swaying Ladies Book Club was started by Clare Robinson as a way to make friends, eat cake, drink wine oh, and read books. We a friendly bunch who don’t take reading books too seriously, but agree that there is little in life that surpasses getting entrenched in good story, preferably one that makes us laugh, cry and shout out for more the end! We’ve read a wide range of authors from Irvine Welsh to Rohinton Mistry, Emma Donoghue to Jessie Burton. We have no favourites, but we don’t like authors who write for the sake of word count, or just so they can show-case a clever “twist” at the end! We will be reading Everything Under by Daisy Johnson. ‘Bigger’ Bookclub is a group of ladies who all worked at the Big Lottery Fund and formed ‘Big’ Bookclub around 4 years ago. Late last year, a few of the members left Big Lottery for pastures new; but as we all enjoy the group meetings and of course the books so much we decided to continue with the group; which is now ‘Bigger’ and better! 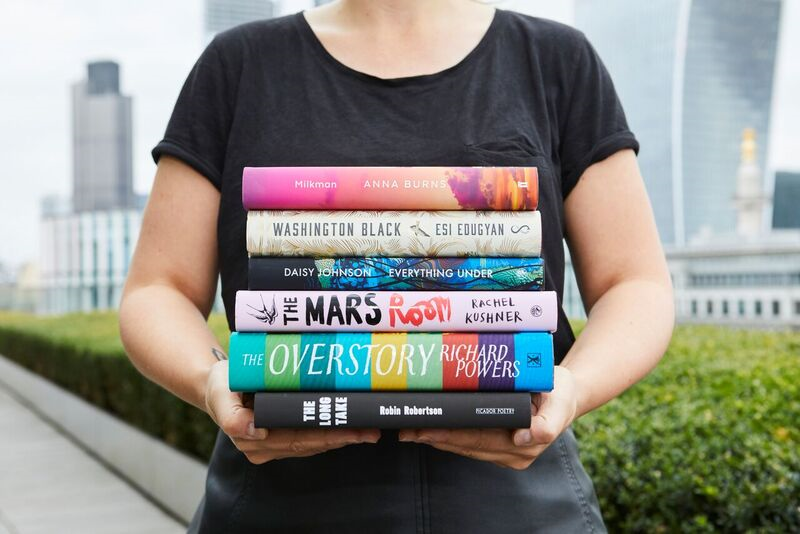 We are a diverse bunch of Bibliophiles, who share a passion for reading and all things books so we are thrilled to be shadowing this year’s Man Booker, which will be a lovely chance to cement the new group and give us a great book for discussion. We will be reading The Mars Room by Rachel Kushner. We are a small book group of 10 people, we met just over 2 years ago due to us wanting to join a local book group but it already being full, so we decided to start our own. 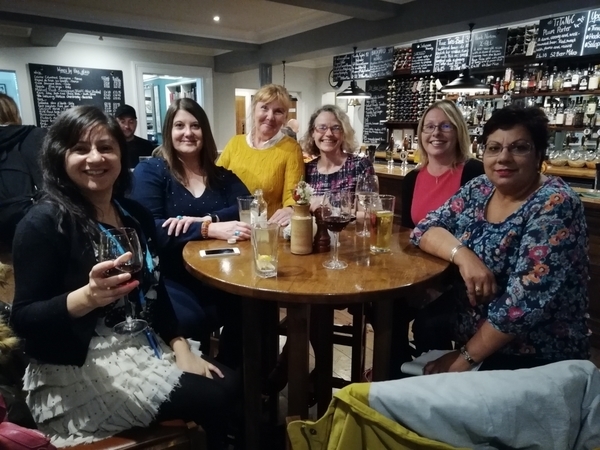 We all live locally to one another and are of a mixed age group, from late 30s to ladies who are now retired but volunteer in a local charity book shop. 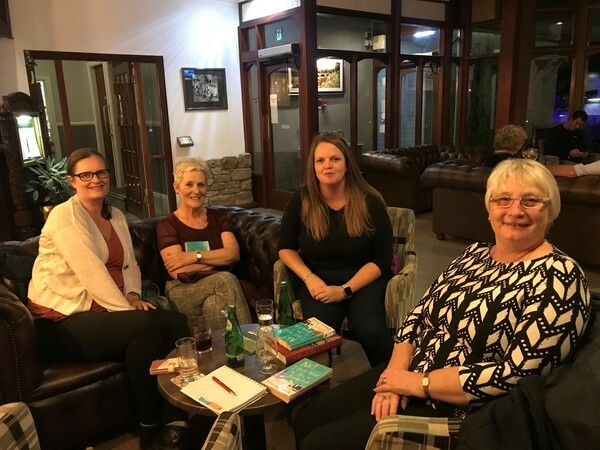 We meet monthly to discuss the book we have all read which come from our local library in Carlisle that runs a book club scheme. We all enjoy different types of books and make a choice each year of the books we would like to read in the coming year. The library then give us one from our list each month allowing us to read books which some of us wouldn’t choose to read. Our favourite books include The Help and A Man Called Ove. 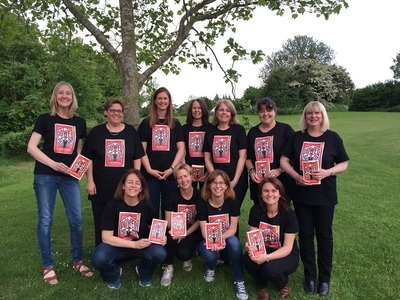 Due to some of our members working for the library service and volunteering at an event called Borderlines, we were short of a few members this month but kept each other up to date with our book reviews through, text and emails. We feel a very privileged group to be able to follow the Man Booker Prize and look forward to the opportunity. We will be reading The Overstory by Richard Powers. 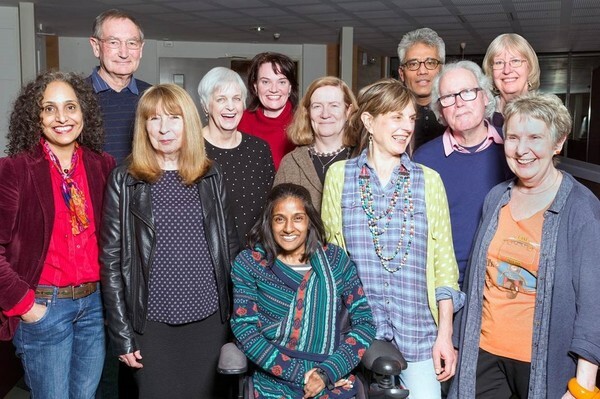 The Writers’ Reading group has been going for about 15 years and is a hybrid of a Creative Writing and Reading group. It varies in size – but at the moment it includes 20 people – with a waiting list! Set up and managed as a course at the Midlands Arts Centre in Birmingham, the group has developed its own strong identity over the years, and still includes some of its original members, whilst always welcoming new people. The group was set up by course leader, and published writer, Polly Wright, to select books which were not only enjoyable, but also good models for writing, and our sessions alternate between discussions of the texts and those in which we share our creative responses and spin offs . Group members reflect the wide ranging diversity of Birmingham’s population, and our ages have ranged over the years from people in their 20s to their 80s. At the moment the age range is from 30s to 70s, so some people are retired whilst others are deeply occupied in working and parenting lives, but everyone manages to make some time to read and share thoughts about the books and take inspiration for writing. We are very privileged to be amongst the reading groups who have been asked to shadow the Booker Prize- and can’t wait to get going! Download fantastic Readers’ Guides for every one of the longlisted titles from the Man Booker Prize website, and themed reading lists for each of the shortlisted titles. You can borrow the books from your local library, or buy books for you or your group from hive.co.uk to support The Reading Agency and local bookshops at no additional cost to you. Share your thoughts with us and with the shadow groups on Facebook, Twitter and Instagram using #ManBooker2018. Keep up with all the latest news on the Man Booker Prize website.